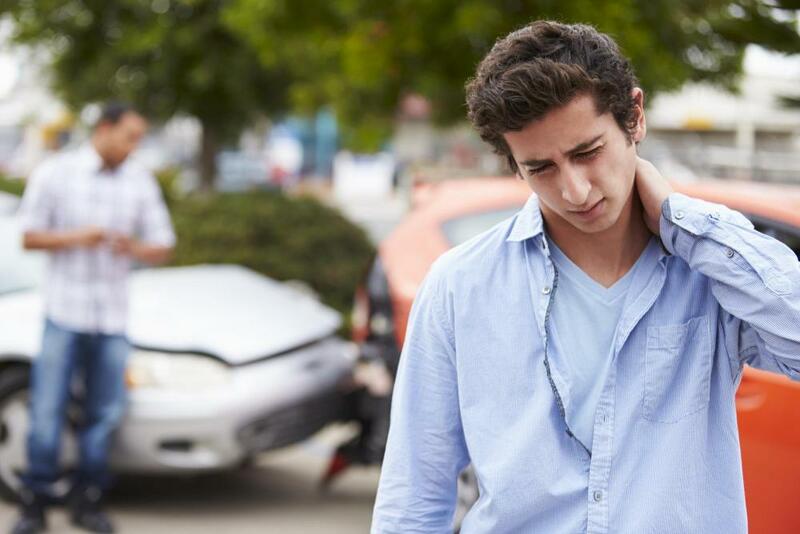 If you're experiencing neck pain and other annoying musculoskeletal or neurological symptoms following an auto accident or other traumatic incident, you may be wondering whether you have whiplash -- and if you do have it, how you can overcome it without drugs or surgery? Here are the answers to some frequently asked questions on the subject from our four-chiropractor team at Lifetime Health and Wellness. What is whiplash? Whiplash is an injury of the neck and surrounding tissues that occurs in situations where the body comes to a sudden stop but the head is still free to fly forward and backward. It is typically associated with auto accidents but can also be the result of a fall at home, sports collision or workplace accident. Why is it called whiplash? This painful complaint is called whiplash because of the sharp, violent forward-backward motion of the head, which resembles the lash of a whip. This motion causes hyperextension of the neck when the head moves backward, and hyperflexion when the head the rebounds and flies forward. How fast does a car have to be going for its occupant to suffer whiplash? Contrary to what you might think, most car-related whiplash injuries take place at speeds of just 6 to 12 miles per hour, and can occur at speeds of 5 miles per hour or less. What damage does whiplash cause? Whiplash can injure multiple components of the neck. Cervical vertebrae can be dislocated, impairing joint function and allowing discs to herniate. Herniated discs can also pinch nerve roots near the cervical spine. Neck muscles and connective tissues may also be strained or sprained. What are the symptoms of whiplash? Whiplash symptoms may include a stiff, painful neck, shoulder pain, headaches, dizziness, facial pain, depression, confusion, sleep problems, fatigue, vision problems, and ringing in the ears. Shock from the accident may delay the onset of these symptoms. How does chiropractic care help whiplash? Chiropractic care can help bring injured cervical joints back into proper alignment, relieving joint pain and restoring flexibility. This provides a safer, more effective long-term solution than pain killers while making invasive surgery unnecessary. What other forms of care can my chiropractor prescribe for whiplash? Your chiropractor, Dr. Snyder, Dr. Gilmer, Dr. Eisenhauer, or Dr. Knasky, may prescribe spinal decompression to normalize the position of herniated discs, helping them heal and taking pressure off pinched nerve roots. we may also recommend a program of massage therapy, cold laser therapy, and acupuncture or acupressure to relieve soft tissue pain and help injured tissues heal more quickly. We hope that the answers to these questions help point you toward the most conclusive answer of all -- safe, effective whiplash relief at Lifetime Health and Wellness. Call 303-423-4610 for an evaluation from one of our four chiropractors.